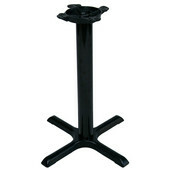 These John Boos black metal table bases are available in a wide variety of base spreads. 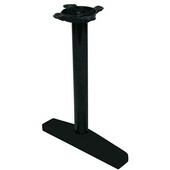 The 1900 and 2000 series table bases are constructed from sturdy cast iron. The table bases can support table tops up to 96" in width depending on the model. 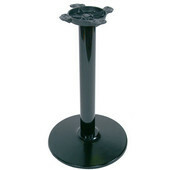 Choose from disc or x-shaped style table bases to accommodate the table top of your choice.